Learn the ropes with these examples. All samples require Stencyl 3.4.0 or later to run. Check out Stencylpedia for help articles and videos. A simple jump and run example supporting walking and jumping. Mobile-Ready. Move the hero around in this top-down setting to guide him to the exit. Mobile-Ready. Click the blocks with the correct right timing in order to guide the hero to the goal. Mobile-Ready. Move your ship around to dodge the bullets and shoot all the aliens before they reach you. A reusable kit for creating platformer games. More complex than the Jump and Run sample above. A sample game showing how to include common GUI components in your games. 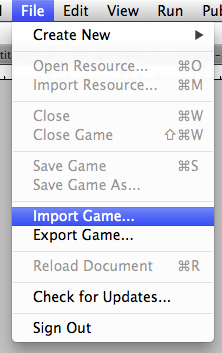 A sample showing you how to embed rich, interactive dialogs into your games. Or close Stencyl and relaunch. Something not right with a sample game? Ask for help on the forums.